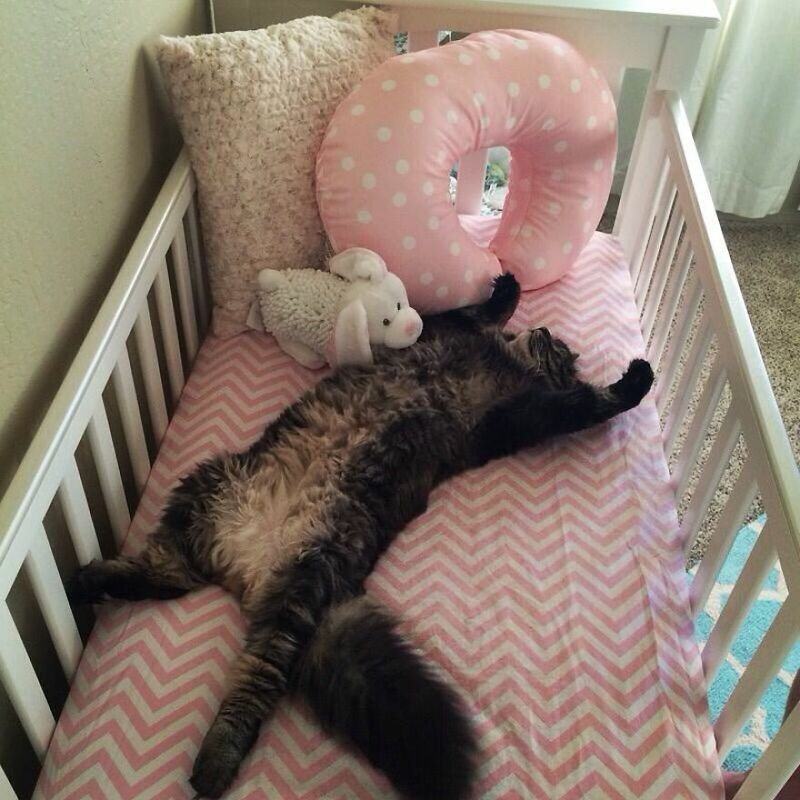 My wife and I are going to be parents for the first time and after putting the crib together in preparation of our little one’s arrival, we found that another member of the family started liking it. Finn is almost a 20 pound cat so the fact that he can clear the side rail of the crib is pretty amazing in itself. I’d say maybe once a week I find him laying in there in the morning and to say he looks comfortable would be an understatement. My wife called me into the nursery a few days ago and even though we are trying to discourage the behavior I couldn’t help but snap a few pictures before taking him out. 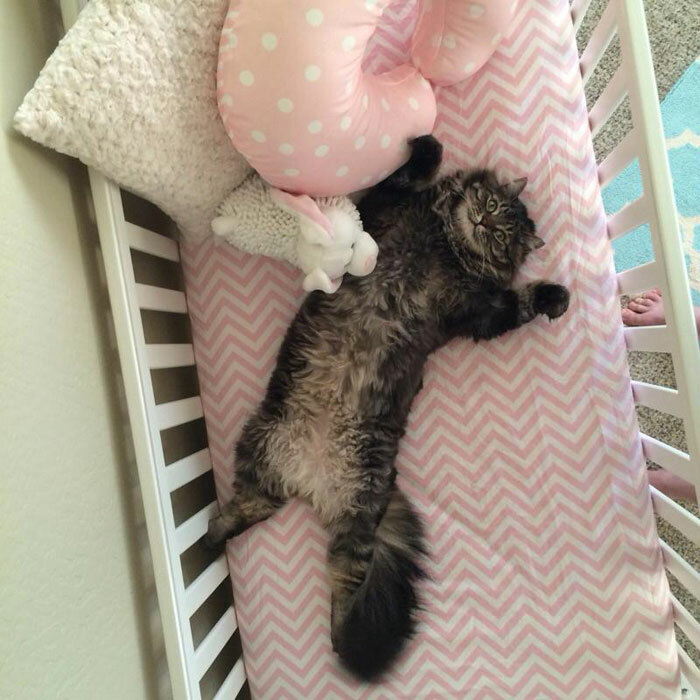 You guys should buy him his own crib haha! He really loves it. A bassinet or doll crib lower to the ground for him would go a long way. He'd be all "Not only are the humans smart but they also made it more convenient for me."